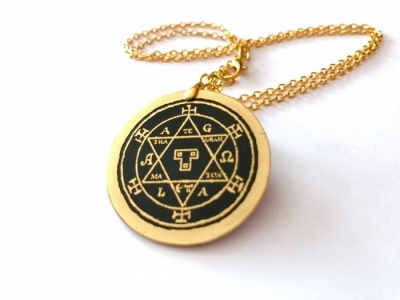 You are looking at a TRADITIONALLY-CRAFTED Triangle of Art, in Solid Brass, lovingly created to provide you with a direct link to the powerful Magickal Forces of the Solomonic Current of The Goetia. This five-piece set is utterly unique, and cannot be obtained ANYWHERE ELSE! 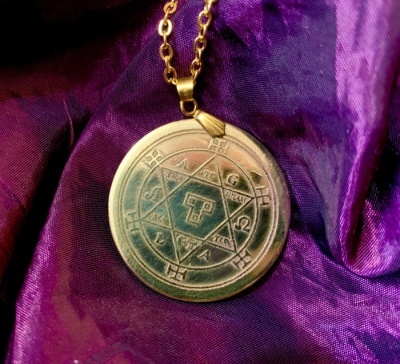 Developed by The TalisMan, this remarkable tool has been designed to work with ANY of our single-sided Brass Talismans, so that existing Customers can benefit from their Collection if required. 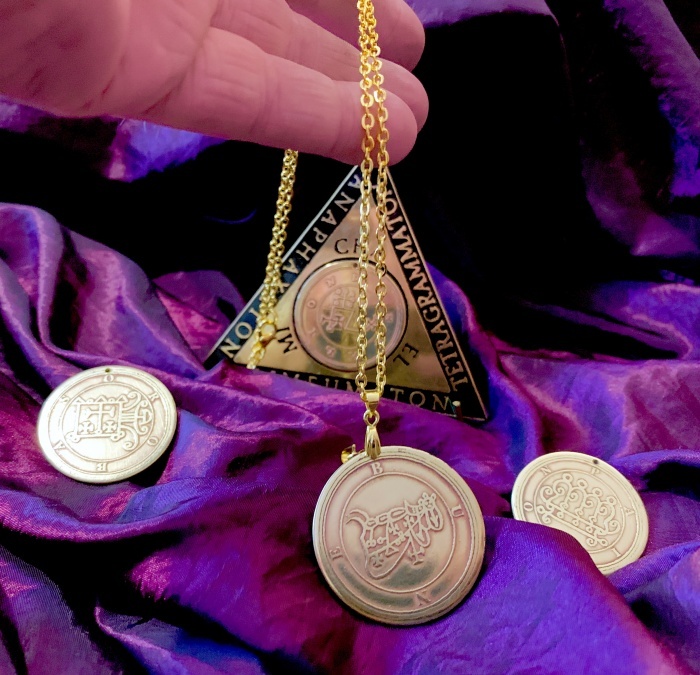 Use this set as you would with any Goetic Work, but with the ability to place the Solid Brass Sigil of the required Spirit directly onto the Triangle; the felt backing system ensures the Sigil stays firmly-put! Each and every set is provided complete with YOUR choice of FOUR of any of the 72 Sigils of the Spirits of the Goetia - and you can add more, at a later date, as your needs dictate, even building a full collection if required! 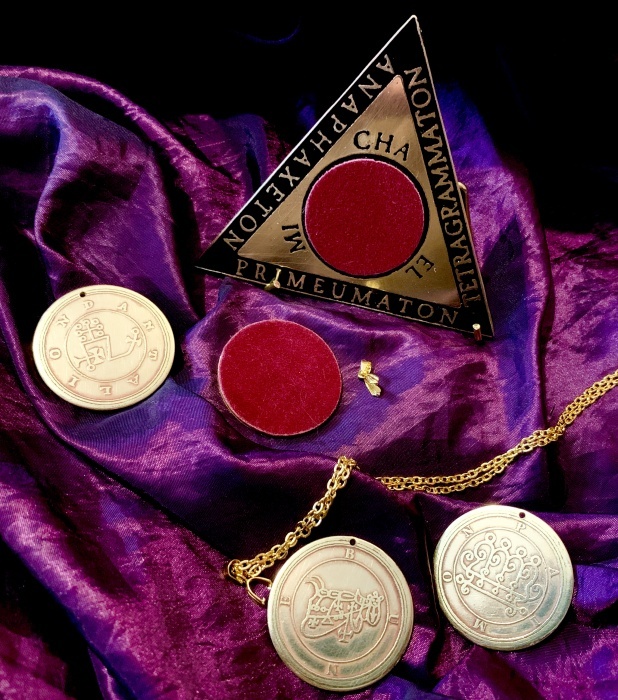 To ensure that your Set is as potent as possible, you are ALSO supplied with a Gold-Plated, 18-inch Neck Chain and Bale (plus Spare Bale), upon which you can mount and WEAR you chosen Sigil, once your Ceremony is complete - again, this system will work with ALL of the TalisMan's 35mm Brass Range, ensuring that you can carry your Ceremonial Power with you, wherever you go. Finally, we even provide you with a custom-made, brass stand, so that your Triangle can be angled to your preference. YOU WILL FIND THESE NOWHERE ELSE! These STUNNING pieces are as close to an EXACT REPLICA of those Talismans used by Occult Practitioners of times gone by, right down to the authentic patina that has been applied. 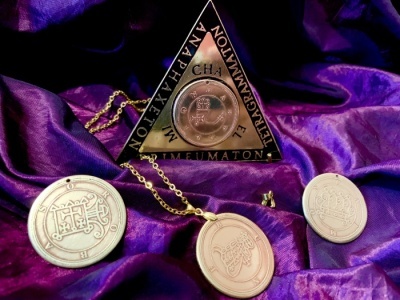 Your unique Talisman and Triangle set is constructed from SOLID, 1.2 mm THICK BRASS, with the Magickal Seals deeply inscribed into the metal itself. It has been designed to last a lifetime - and beyond. Your one-of-a-kind Talisman and Triangle are TOTALLY UNIQUE; no two will ever be the same! You are looking at a TRADITIONALLY-CRAFTED Talisman, lovingly created to provide you with a direct link to the powerful, Magickal Forces of the Solomonic Current.